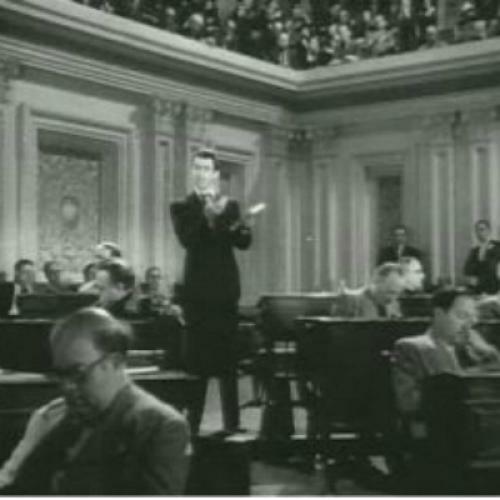 At various points over the last decade, Democrats and Republicans have recognized that filibuster reform is badly needed to improve the functionality of the Senate, especially for nominees and appointments. Of course, that view has never been held by both parties at once, since the Senate minority is reluctant to limit its primary source of leverage. But after the Republican Senate minority thwarted many of President Obama's legislative initiatives for two years, support and opposition to filibuster reform seems to extend beyond the narrow interests of empowering the current Senate minority or majority. Liberals are convinced that gridlock stymies their agenda, while conservatives often perceive the 60-vote threshold—the supermajority needed to overcome a filibuster—as a critical bulwark against a deluge of liberal legislation. Elsewhere on this website, a prominent article on filibuster reform carried a subtitle characterizing the filibuster as "the biggest obstacle to Obama's agenda." It's true that the filibuster has been an asset to conservatives recently, and the argument that reform empowers liberals makes sense in principle: liberals are generally advocates of change, while conservatives tend to favor preserving the status quo. But for the foreseeable future, a 60 vote threshold in the Senate is not the biggest obstacle to the Democratic agenda, and Republicans aren’t the party of the status quo. To the extent that partisans support or oppose filibuster reform under the assumption that it helps Democrats and hurts Republicans, they might want to think twice. With the GOP holding the House, Democratic-leaning legislation isn’t exactly piling up on Harry Reid’s desk. If Democrats had a good chance at retaking the House, perhaps filibuster reform would do more for the Democratic agenda. But between the advantage of Republican incumbency, partisan gerrymandering creating fewer competitive districts, and the inevitable concentration of Democrats in urban districts, Republicans are poised to hold an advantage in the House for at least a decade and probably longer. The results of the 2008 presidential election illustrate the extent to which the map is tilted in the GOP’s favor: While Obama won the popular vote by 7.3 points in 2008, he carried just 239 of today’s congressional districts; earlier this month, House Republicans won at least 233 seats while losing the House popular vote in an election that Obama won by more than 3.5 points nationally. Another national wave akin to 2006 or 2008 could plausibly give Democrats control of the House, which could combine with filibuster reform to grant Democrats a fleeting opportunity to enact the most ambitious elements of their agenda without Republican support. But for the foreseeable future, the Democratic agenda isn’t as ambitious as one might expect for the party of “change.” Other than climate legislation, there aren’t many big, partisan Democratic initiatives that would struggle to find enough Republican and conservative Democratic support to break a filibuster in any scenario in which Democrats hold the House, especially since any Democratic wave sufficient to take the House would carry Democrats close to a filibuster-proof majority in the Senate. Perhaps new measures to combat income inequality, regulate the financial industry, or respond to emerging issues might eventually fill out a futur Democratic agenda, but big, new Democratic initiatives will be hampered by demographics and persistent budget deficits. Those same forces give renewed purpose to long-time conservative hopes to reform entitlement programs, and in such an environment Democrats may well have more at stake in preserving past accomplishments than enacting new reforms. President Obama acknowledged as much prior to the election, and Democrats might be wise to remember that the House of Representatives passed the Ryan budget, and a GOP Senate and President without the constraints of the filibuster could have easily followed through. Just as favorable circumstances could permit Democrats to take all three branches of government, Republicans could easily take the Senate or overcome their disadvantage in the Electoral College. Even during periods when one party has held an obvious electoral advantage, presidential candidates from the weaker party have occasionally won, as presidents Wilson, Eisenhower, and Carter did. Given the state of the world economy, a GOP rebound—perhaps as soon as 2016—isn't far fetched, especially since Republicans aren't facing electoral obstacles as formidable as the ones Wilson, Eisenhower, or Carter faced. Although Democrats hold an impressive 55 seats in the Senate, no structural advantage underpins the Democratic majority, let alone one commensurate with the GOP’s in the House. Indeed, geography ought to provide Republicans with an edge in the Senate, even if they haven’t capitalized on it. After all, 23 Romney states were generally considered non-competitive, compared to 15 for Obama. Whatever Democratic advantage exists in the Senate endures only through incumbency. Is there a greater chance that Republicans or Democrats seize the presidency and both houses of Congress? It’s hard to say. But with Democrats possessing a relatively limited agenda and few means of getting it past the Republican-controlled House, filibuster reform offers little to no promise of advancing the Democratic agenda in the short term, with the exceptions of appointments and nominees. Over the medium to longer term, it's hardly clear that the Democrats are the party of change. The passage of the Affordable Care Act means that Democrats have completed the third and final piece of the social safety net. With the exception of climate change or perhaps a single-payer health care program, it's hard to conceive of any large, comprehensive pieces of legislation on the Democratic wish list that would face unanimous Republican opposition. For now, the biggest partisan items on the two major-party platforms lie on the GOP side of the ledger, and that seems likely to represent the new norm. Republicans are unified around a series of large and controversial measures that possess little Democratic support, like reshaping the tax code and reducing entitlement programs. Persistent budget deficits, an aging population, and rising health care costs will make it more difficult for Democrats to propose expensive new programs, while ensuring sustained GOP pressure on entitlement programs. And after Bush's push for Social Security privatization or the Paul Ryan budget, there shouldn't be much question about whether Republicans are likely to act on these issues if the opportunity arises. Filibuster reform is still necessary to improve the functionality of the Senate, but if Democratic support for filibuster reform is motivated by the prospect of long-term partisan gain, perhaps Democrats should think twice before disarming the filibuster. And perhaps Republicans should revisit their opposition to reforming it.